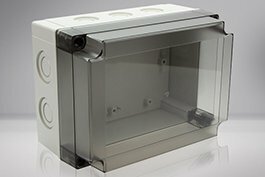 Are you looking for durable industrial enclosures? Then you are sure to find something at Automation24. We offer metal and plastic enclosures and matching accessories from FIBOX at the best prices! Protect your electrical and electronic components now. The company FIBOX has been in business since 1991. Prior to that, Fibox was a division of Fiskars Corporation, currently one of the oldest companies in Finland which was founded in 1649. With their pioneering efforts, they began production of plastic enclosures in the early 1960’s. This also included polycarbonate FIBOX enclosures that with their impact resistance have always been impressive. Since the 1990’s, FIBOX has continued to grow as a privately owned enclosure manufacturer and provider that sells its products worldwide. The company has offices in over ten countries and operates six manufacturing facilities. The FIBOX enclosures are produced in Finland, Germany, South Korea, and the United States. The company FIBOX believes that optimal product quality can only be guaranteed if the quality of the production process is correct. Therefore FIBOX attaches great importance to the development of new tooling technologies, which significantly shortens and optimizes production processes. This significantly benefits the production of increasingly high quality products with higher protection classes. In this manner, the high-quality Product series MNX was developed as enclosures and seals were originally produced by spray technology manufacturing. The development of new products does not depend solely on the contributions of optimal production processes. The company is also considerably influenced in product development by customer requirements. Strong customer focus continuously promotes the development of innovative products and is thus significantly responsible for the success of FIBOX. 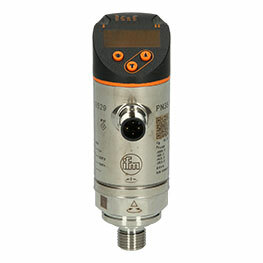 At Automation24, you can buy high-quality FIBOX products from the category Enclosures / Control cabinets at low prices. Regardless of whether ABS enclosures, Polycarbonate enclosures, Aluminium enclosures, Modular component enclosures, Polycarbonate control cabinets, or Enclosure accessories, the manufacturer FIBOX convinces with exceptional product quality. You will be satisfied! Order today and receive your FIBOX products fast! For questions about products from FIBOX or other manufacturers, the Automation24 team will be pleased to answer your questions and is always at your side. We offer high quality FIBOX products at low prices, as well as competent service here, at Automation24.